Dr. Kathryn Beckermann is a physician-scientist inspired by the dramatic clinical responses with new immunotherapy agents targeting T cells to harvest the power of the immune system to fight cancer. Dr. Beckermann aspires to take excellent care of patients forced to deal with the horrific diagnosis of cancer by asking the “why” questions that will advance understanding and improve therapy. 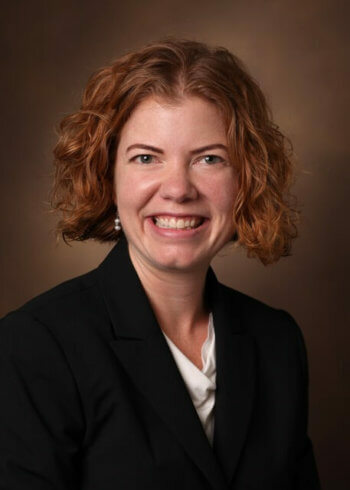 To accomplish her career goals, she obtained her MD in a vigorous academic environment at Vanderbilt School of Medicine, and earned her PhD under the guidance of Dr. Jennifer Pietenpol, Director of the Vanderbilt-Ingram Cancer Center. To continue preparation for an academic career, Dr. Beckermann pursued the ABIM research pathway and directed her training in cancer research through a hematology/oncology fellowship. The goal of Dr. Beckermann’s research is to identify how the tumor microenvironment can be targeted to improve upon the response rate to immunotherapy. During her fellowship, Dr. Beckermann has worked under the mentorship of Dr. Jeffrey Rathmell whose laboratory has shown over the last 15 years how metabolic reprograming from oxidative metabolism to aerobic glycolysis is necessary for cytotoxic effector function of T cells.